The applicant must also be personally acceptable to the Society. Family tradition in regard to the services of an ancestor will not be considered. Prisoners of war, including those on the British ship "Old Jersey," and other prison ships. or any other Committees which furthered the cause of the Colonies from six months before the Battle of Point Pleasant. You will need proper documentation to prove your lineage. This documentation includes certified birth, marriage and death certificates, wills, federal census and other records. Printed genealogies may be accepted as proof only if the genealogy is adequately documented. However, it is best to rely on primary documents, i.e., a birth certificate clearly showing parents' names or a will in which the writer clearly identifies a child through whom the applicant's lineage is traced. Contact the State Registrar or the Registrar of the local chapter you plan to join. You will also need adequate documentation that proves that your ancestor provided eligible service. 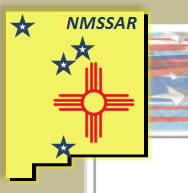 You may acquire an electronic version of the SAR application worksheet by contacting the NM Society Secretary or Chapter Genealogist.